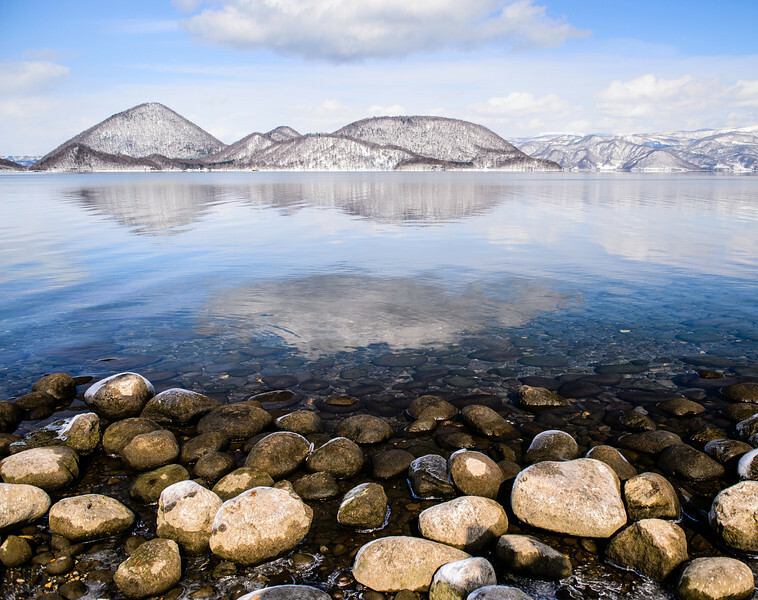 The beautiful Lake Toya (洞爺湖) is a volcanic caldera lake in the Shikotsu-Toya National Park. The Japanese pioneers named the lake Toya after the Ainu expression 'To-Ya', which means "Lakeland", due to the island in the center of the lake. Popular with the tourists, besides being a great honeymoon spot to visit for its view, the 2008 G8 summit was held at The Windsor Hotel Toya Resort & Spa. Shikotsu-Toya National Park, Abuta District, Hokkaido, Japan.